A vintage cup. 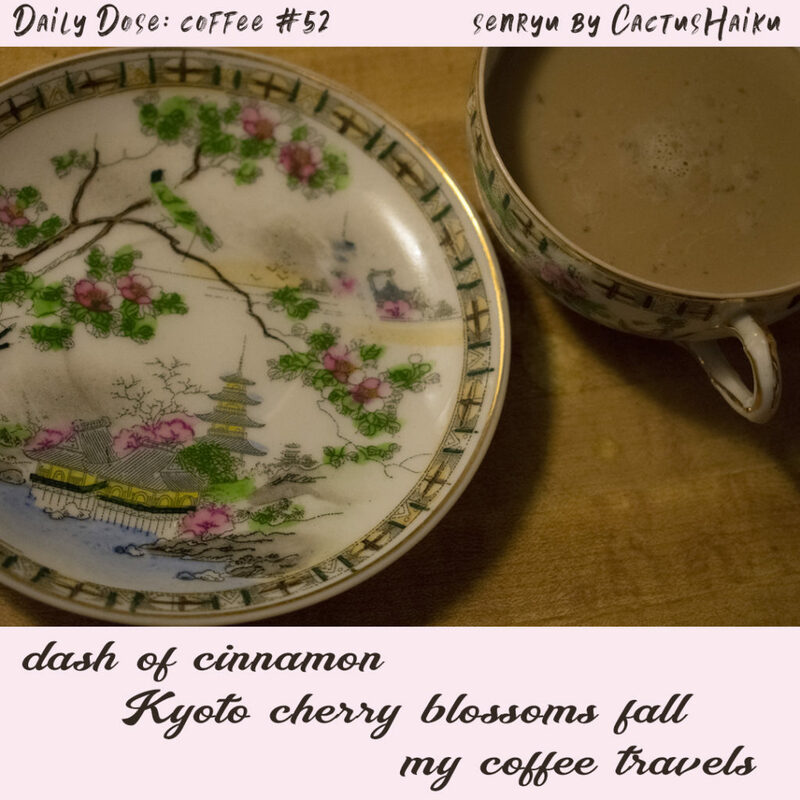 A dash of cinnamon in my coffee has me thinking of cinnabar coloring lacquerware scarlet, from there my mind hops to Kyoto, one of my favorite places on this earth. A sip of coffee and I’m off around the world. Early morning meanderings. Where does your coffee/tea take you?